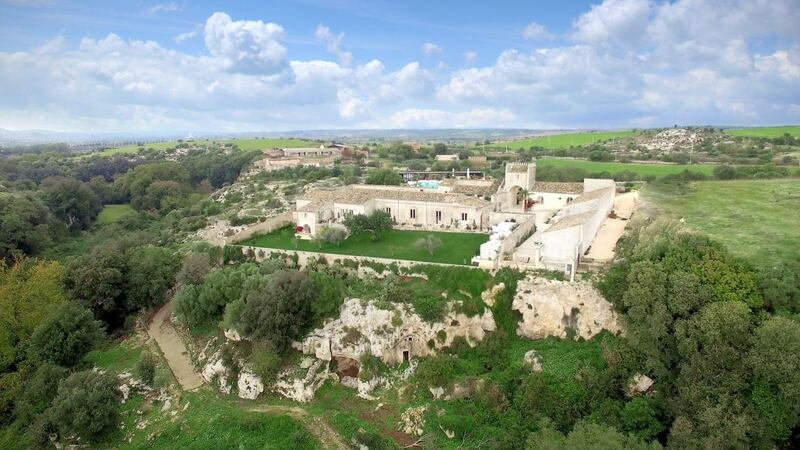 Villa Valeria is an ancient masseria on a 27 acres country estate near the exquisitely restored Sicilian Baroque town of Noto. 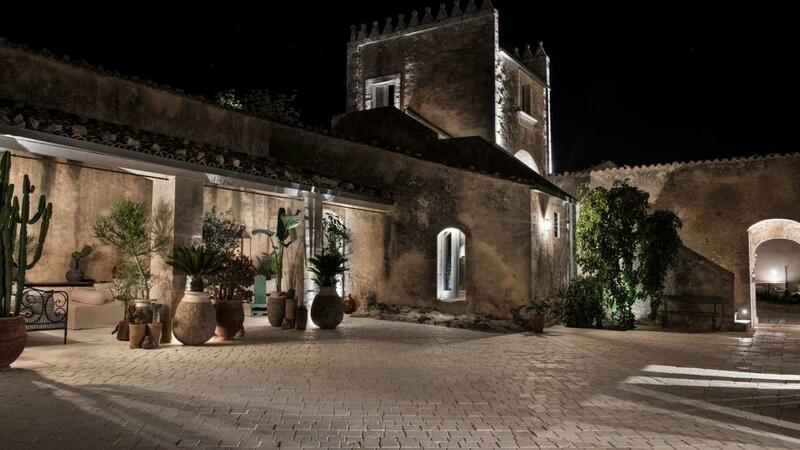 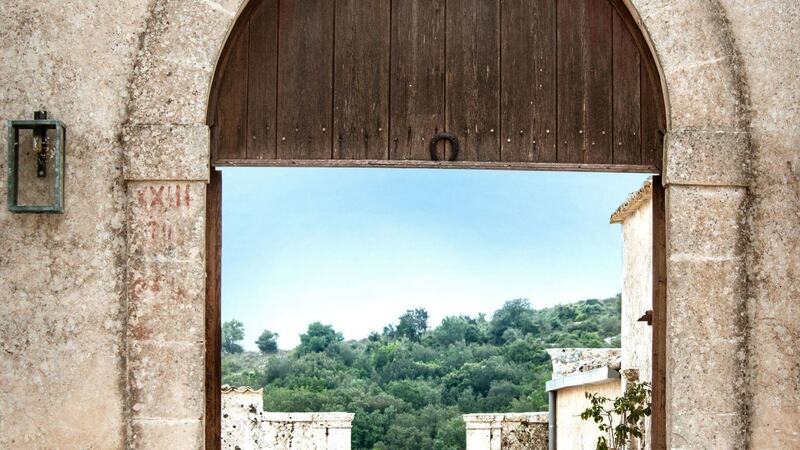 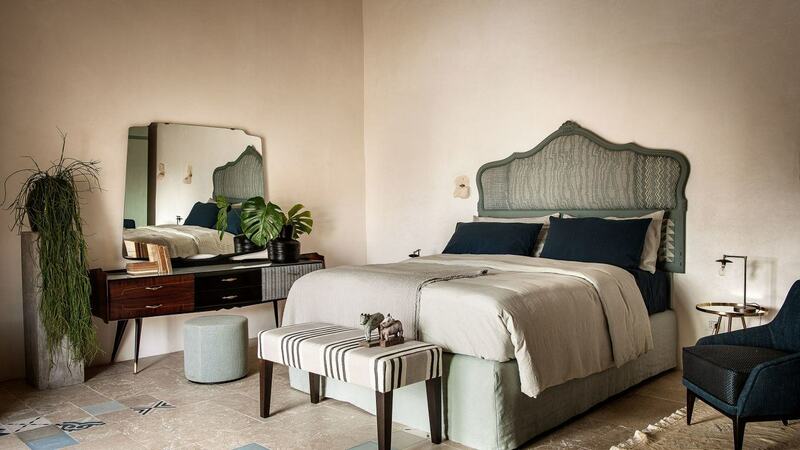 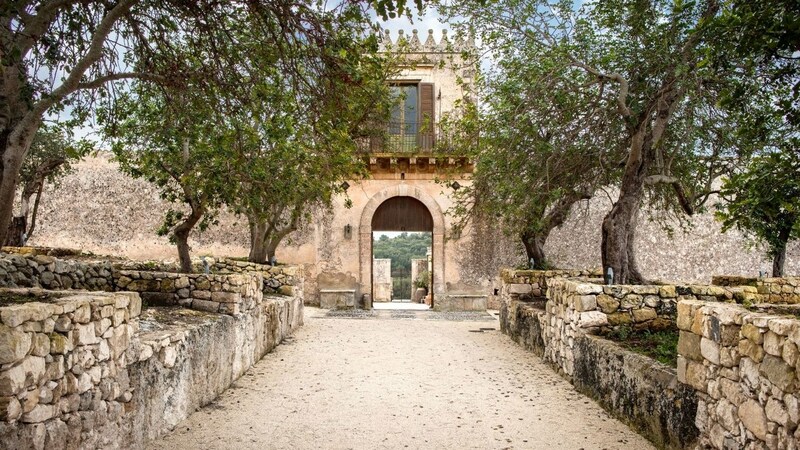 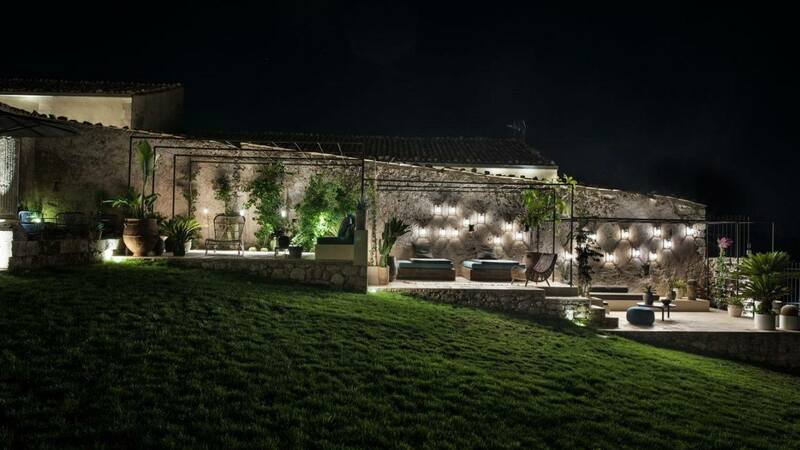 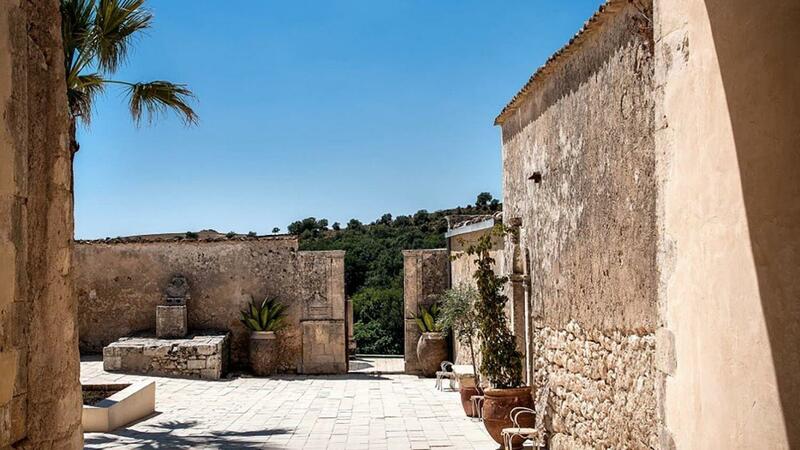 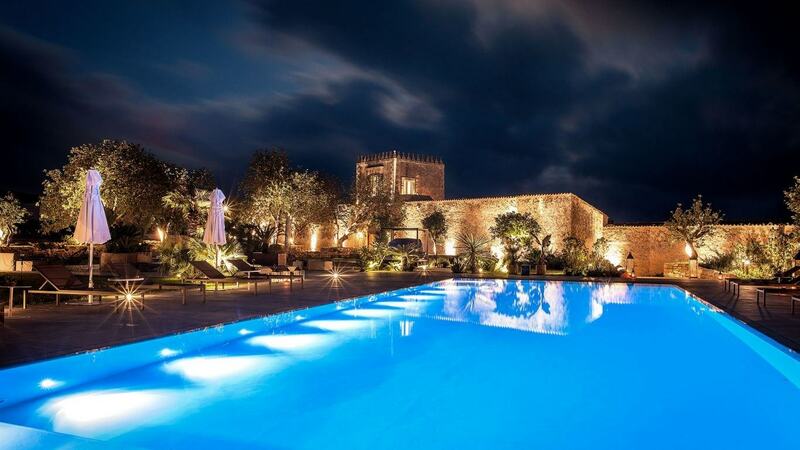 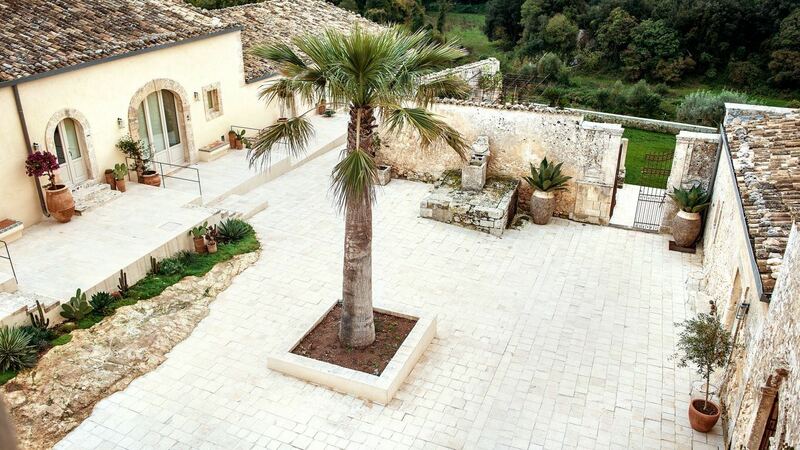 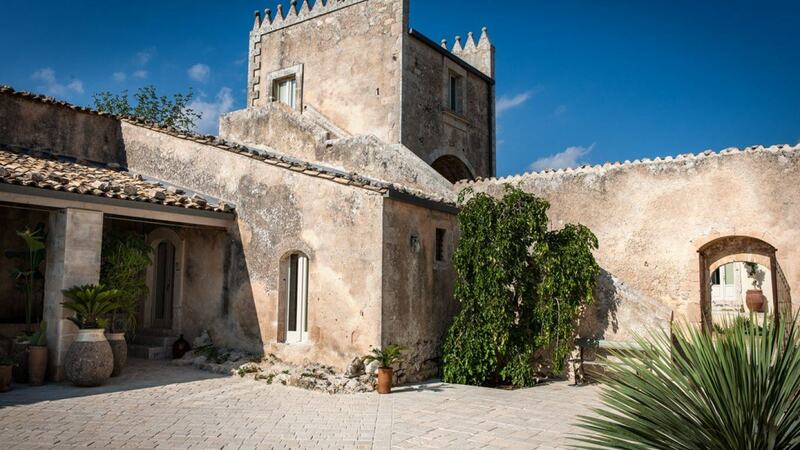 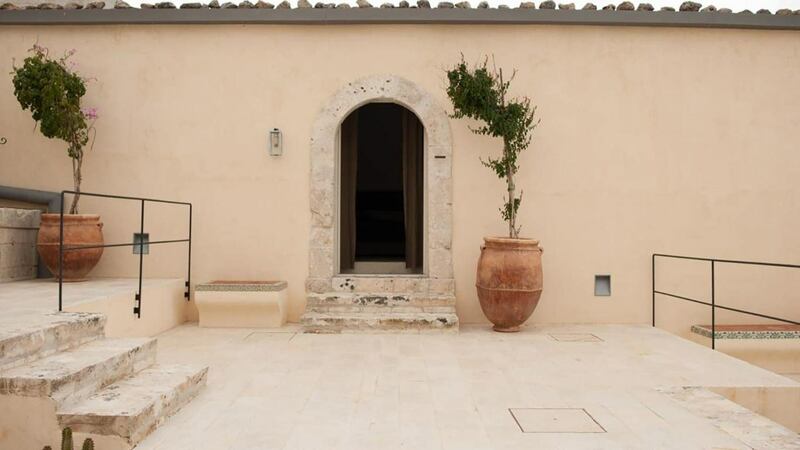 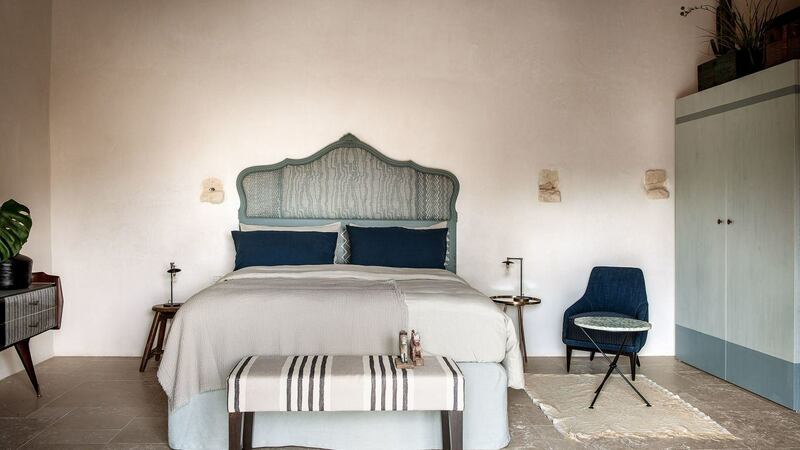 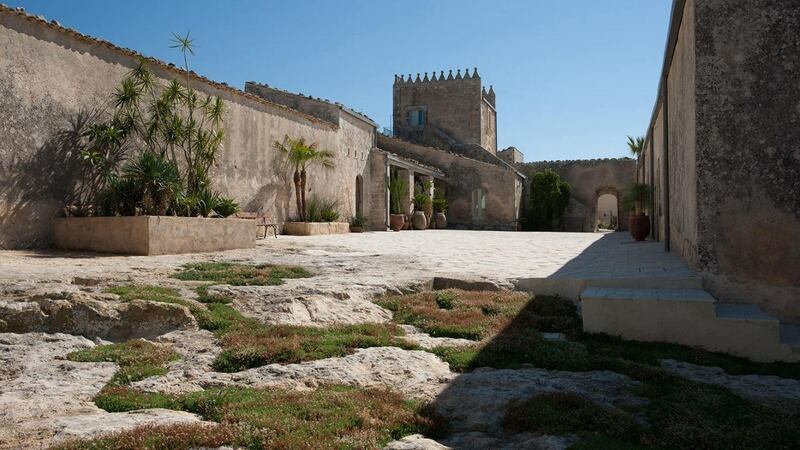 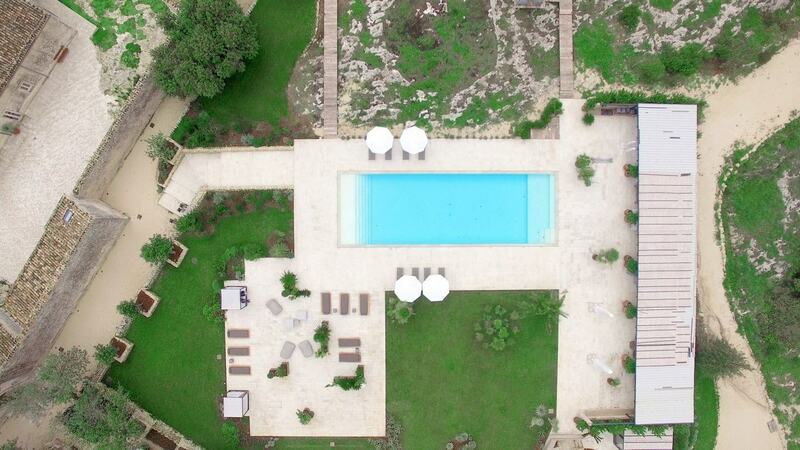 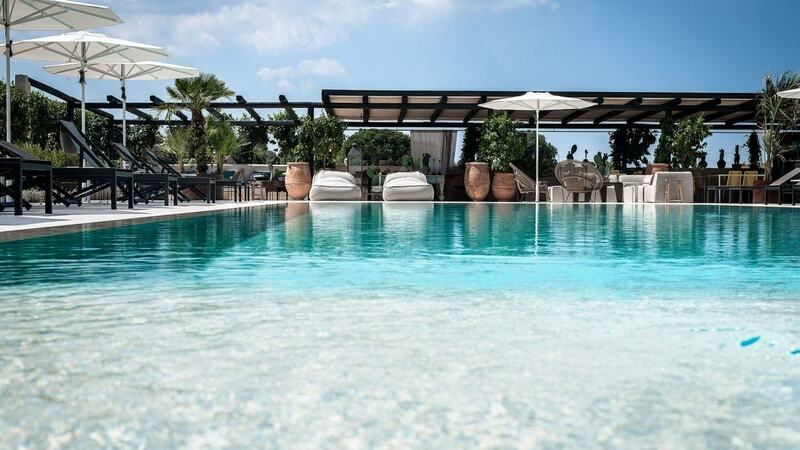 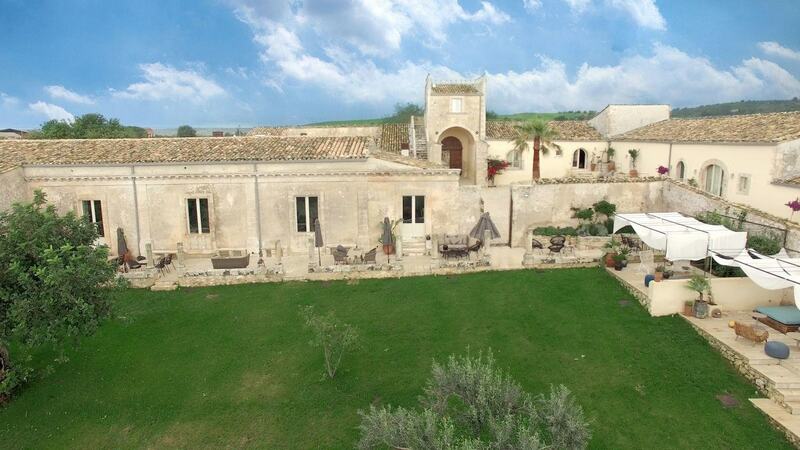 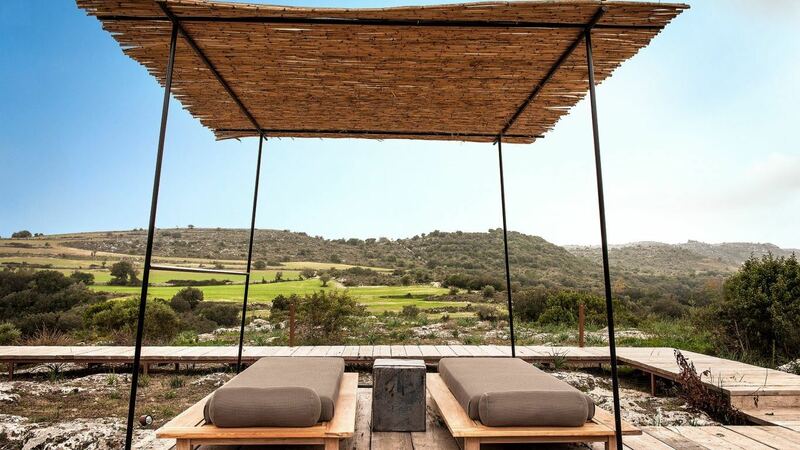 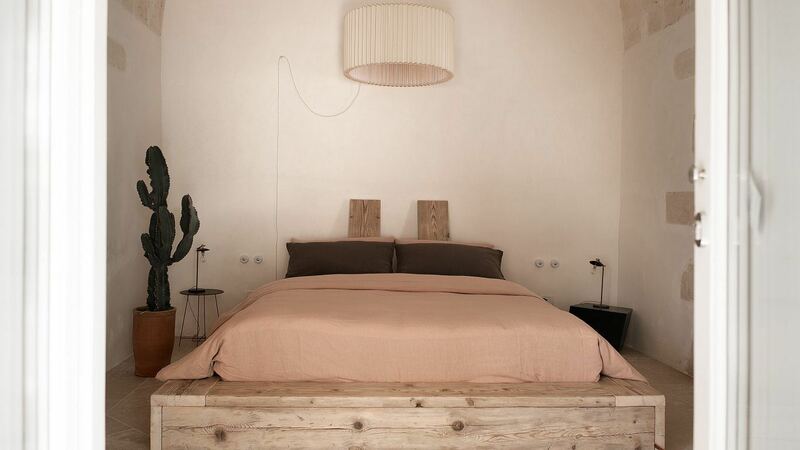 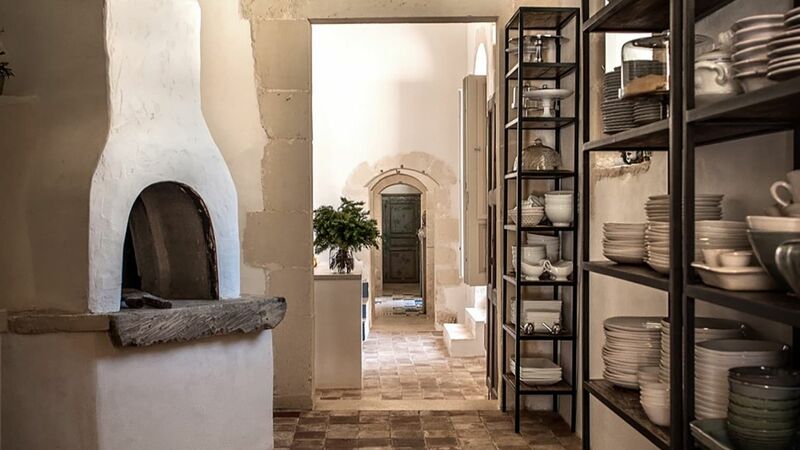 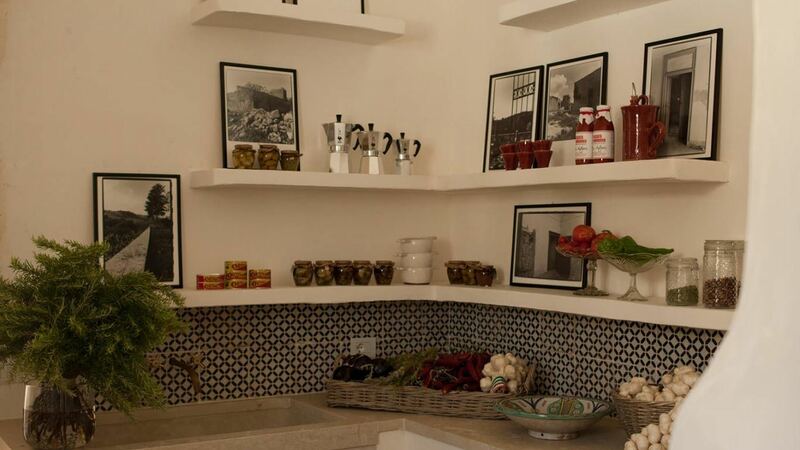 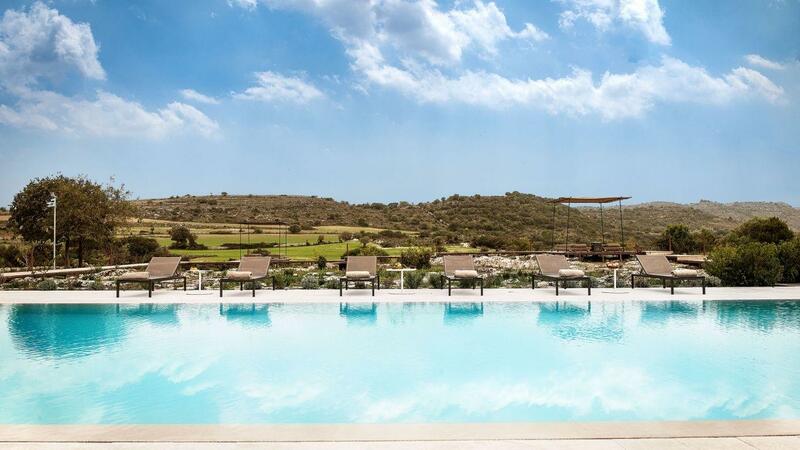 After being totally abandoned for 50 years, the masseria has been completely renovated. 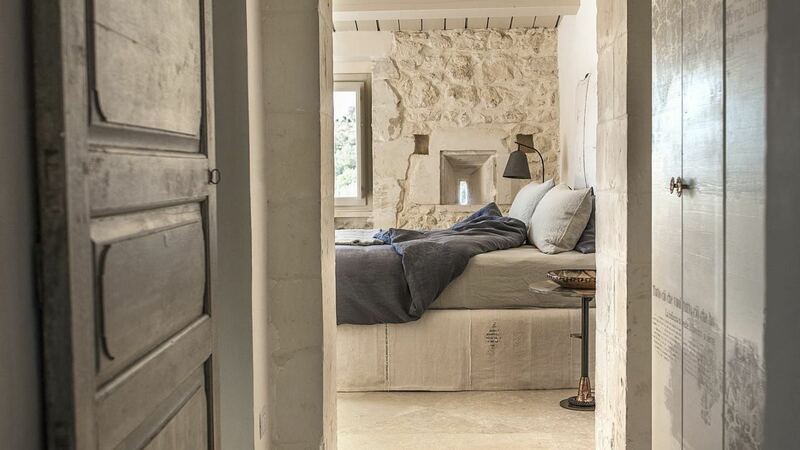 Its original architecture, spare, grand and minimalist, has been preserved, with an inspirational selection of vintage and designer furniture, colors and materials creating a unique and evocative setting for a luxury holiday. 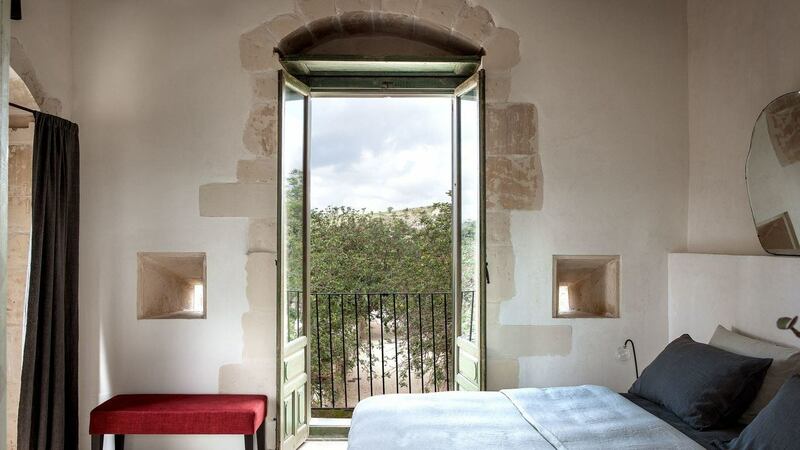 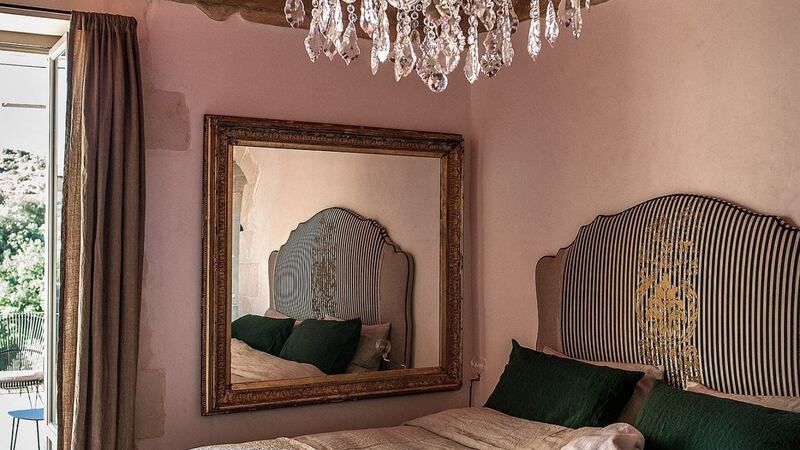 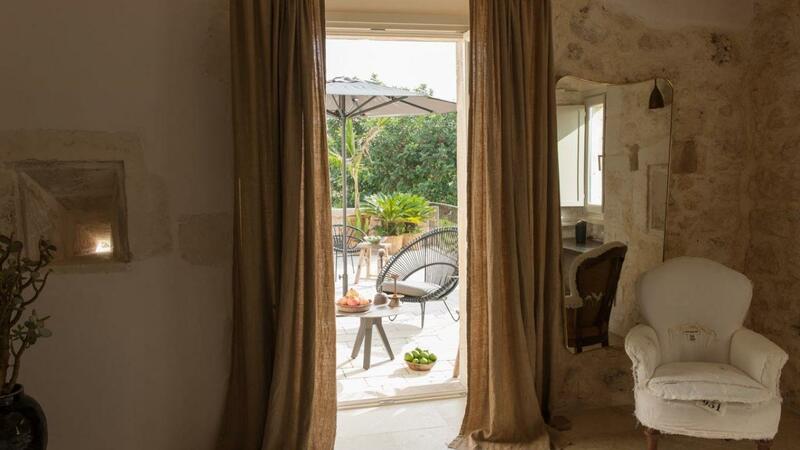 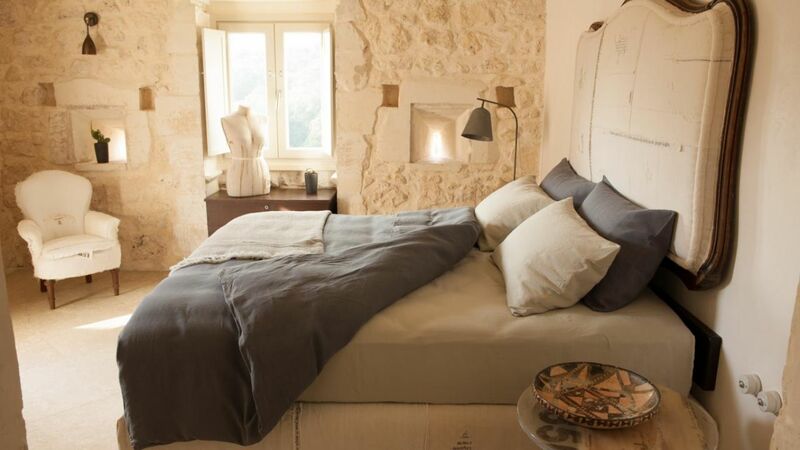 This exquisite retreat is set around three courtyards, the first, paved with stone from nearby Modica, with seven individual bedrooms, each with its own terrace, set around it. 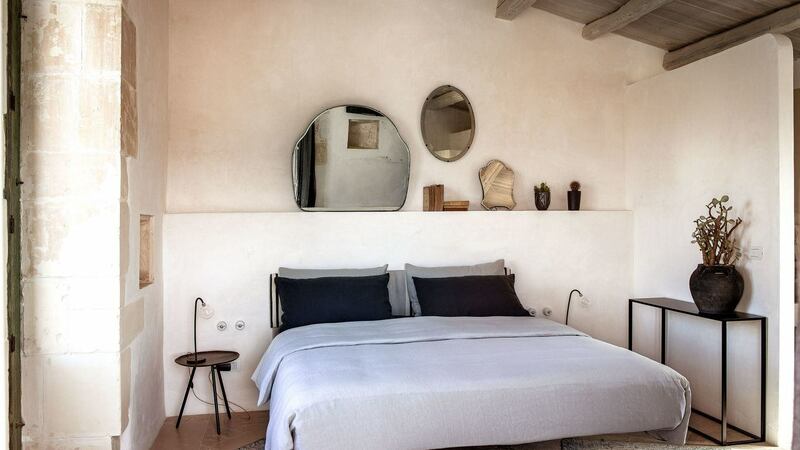 In the second courtyard, known as the “Giardino d’Inverno”, or winter garden, a zone for relaxation has been created, and the one-time chicken house has been transformed into a further bedroom. 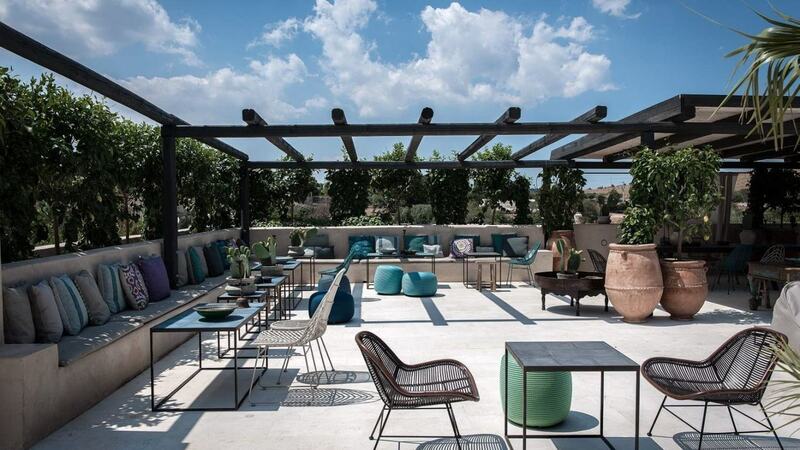 The third courtyard, the “Giardino Padronale” or master’s garden, boasts classical-style columns and a splendid panoramic view of the Manghisi river valley – making it the ideal place to admire the countryside as you sip a cocktail. 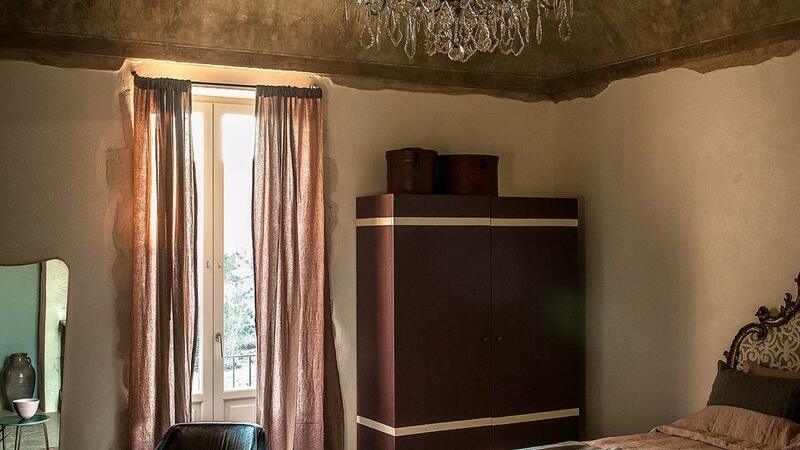 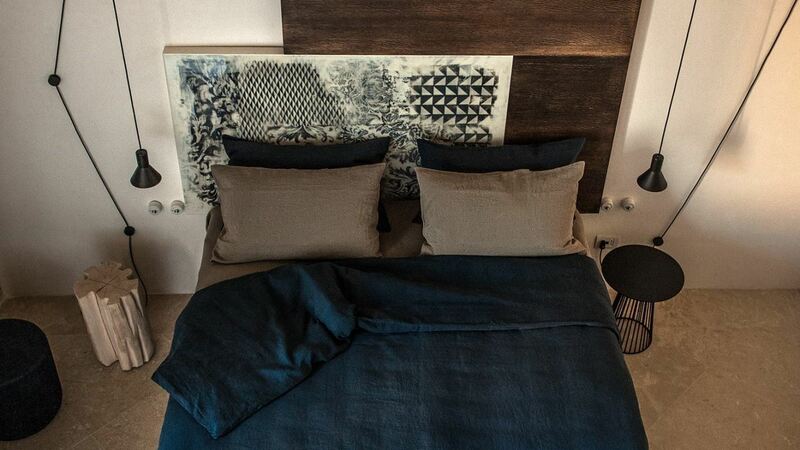 In all, there are 12 studio bedrooms, varying in size from 270 to 430 square feet, each with its own unique design and character. 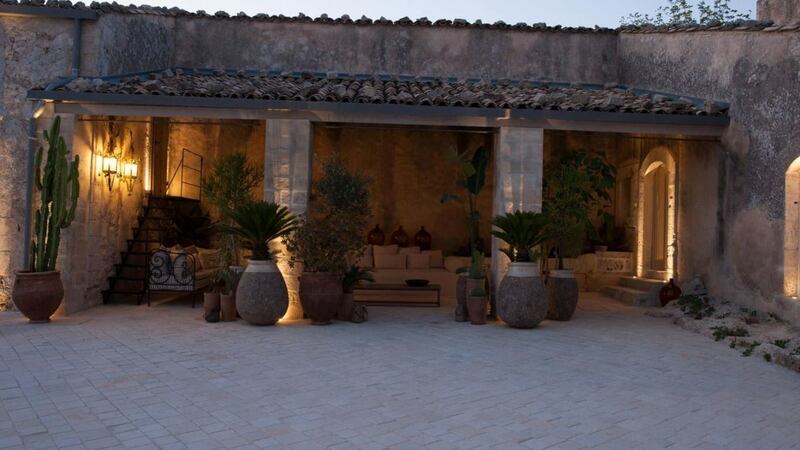 There are also three salons, or reception rooms, “Salone Verde”, “Salone Azzurro”, and “Salone Rosa”, while the ancient manger has been transformed into a dining room. 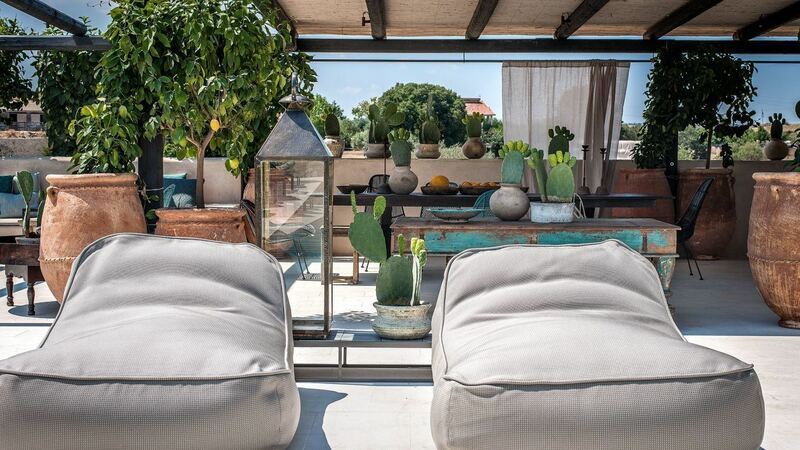 There are also three outdoor areas, stylishly furnished areas designed for sunbathing and relaxing. 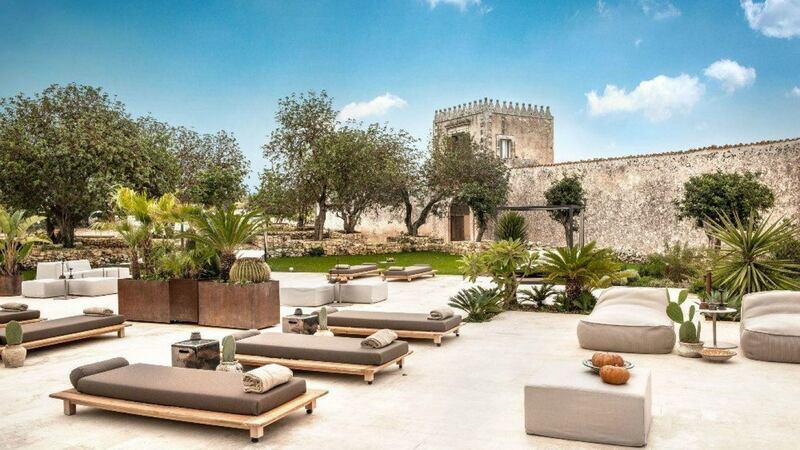 The open-air “Lounge”, the covered patio known as the “Limonaia” and the area around the swimming pool all have lovely views, and are heady with the perfumes of the lemon trees and jasmine growing nearby.